We are not mortgage advisors and won’t try to tell you which mortgage we think is best or which mortgage company has the best deals. These things are best left to the ones who know. A qualified mortgage advisor will be able to assess your individual circumstances and find the best mortgage deal to suit you. If you are into the latest financial reports and can understand these things then there is nothing to stop you doing your own research and finding the best deal yourself; this will take a lot of time and effort. In addition; a professional advisor has access to deals that just aren’t available to the person coming off the street, it’s entirely up to you but personally I wouldn’t want to take the risk. The sad fact is that, as with any profession, mortgage advisors speak in a form of shorthand and they are often so self-assured that you don’t feel you can ask for clarification. If that is the case then let me try to sort out some of the jargon. One thing that the media is always talking about is ‘interest rates’. I can’t tell you how the Bank of England decides what the interest rate will be – it is a total mystery to me. What I can tell you is that mortgage companies add a bit to that rate to work out how much interest they are going to charge you on what you are going to borrow. For instance; at the time of writing the Bank of England base rate is 5.50%, your chosen lender could charge you 6.50% on your mortgage. Fixed, Capped, Variable or a Mixture? Fixed rate: This means that no matter what happens to the bank interest rates, the rate you pay will stay exactly the same. If the lenders basic rates go below your interest rate – you will pay over the odds; if their rates go sky high – you won’t feel the pinch. Capped rate: Basically it means that your interest rate will fluctuate but it won’t go over a certain percentage. You can benefit from any drop in the interest rates and be protected from any massive rises because your mortgage payments will have an absolute maximum. Variable rate: This is the most fluid of all the products – as the name suggests – the rate will fluctuate with the national base rate, your payments will also fluctuate, there is usually no upper (or lower) limit. I know I said that there were only three types but banks and building societies like to give options. Basically the lenders could provide you with a mixture: the first say £20,000 could be fixed rate, the rest variable or some other variation. Now you can see why I suggested a financial advisor! At some point when you are checking out mortgages you will have to decide which of the above you want. A repayment mortgage is as it sounds – you pay back the money you owe to the lender until the balance is nil and you have no mortgage! (In an ideal world) If you select interest only then no part of your monthly payment goes to repaying the capital, you are just repaying the interest to the lender. 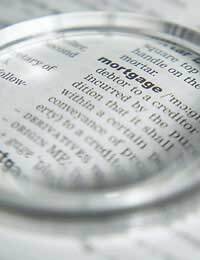 At the end of the mortgage term you will still owe the same amount as you originally borrowed. Administration fees and valuation fees: these are the charges the mortgage lender will make to do the paperwork on your mortgage and to make sure the house you are buying is actually worth what you are paying for it! This will not be a full survey, and you won’t be able to get any of it back if you decide not to buy. Early redemption penalties and closure costs: If and when you decide to move, remortgage or just pay off what you owe then any or both of these could be payable. Make sure you read the mortgage papers before you sign and you can be fairly sure that you won’t get any nasty surprises down the line.